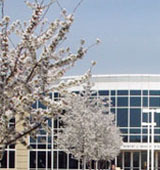 "This "student-centered university" situated on the highest hill in "beautiful" Cape Girardeau, MO offers a "broad" liberal arts education as well as "effective" career training at "one of the finest" business schools in the Midwest. Kent Library is one of only four institutions on earth with a significant collection of William Faulkner's literary works, and the surrounding town of Cape Girardeau is Rush Limbaugh's hometown." Describe the type of student who should not attend Southeast Missouri State University and explain why. Describe the type of student who should attend Southeast Missouri State University. Why? What is a typical Southeast Missouri State University student like? Describe the type of person that should attend Southeast Missouri State University. There are all kinds of kids at this school from all over the world, so I think anyone can come to this school and do well. What are the top 3 reasons someone should attend Southeast Missouri State University? They have a wonderful music program, there is also a high graduation rate, and there are also a lot of clubs to join, also it is one of the safest campuses in Missouri!! What was a typical Southeast Missouri State University student like in high school? Describe the type of person that should attend Southeast Missouri State University. With 67,000 alumni in all 50 states and nearly 80 countries, you can be proud to be a part of this incredible family. From CEO's to nurses and educators to entrepreneurs, the Southeast family is stronger than ever! Through a variety of programming, the Southeast Missouri State University Alumni Association works to build valued and lasting relationships with all members of the alumni family. In an effort to best utilize your talents and skills as alumni, the Association also seeks to connect alumni with students through class presentations, mentorships and internships. Since 1925, the Alumni Association has been led by the board of directors, a group of committed alumni who take on leadership of the organization and work to promote its growth and effectiveness in cultivating the traditions of Southeast Missouri State University. The board of directors is currently comprised of officers and members from throughout the nation, who serve on a number of special, active committees. The Board is assisted by devoted staff members who work daily to implement the strategies outlined by the Board. What are the top 3 things that students do for fun at Southeast Missouri State University? Me and my friends like to have movie nights, go to performances, go to the mall, play games, swim in the pool on campus, and workout on campus. 67% of freshman live on-campus. The average student pays $11,330 for tuition, fees, and other expenses, after grants and scholarships. Total stated tuition is $5,927, in-state and on-campus, before financial aid. Learn more about financial aid at http://www.semo.edu/sfs/. Estimate the net price for you at http://sctbanss.semo.edu:7777/pls/apexprod/f?p=111:1:836846455894938. The typical (median) early career salary of Southeast Missouri State University graduates is $38,000, according to Payscale. Southeast Missouri State University participates in the NCAA Division I-AA for college athletics. Want more info about Southeast Missouri State University? Get free advice from education experts and Noodle community members.